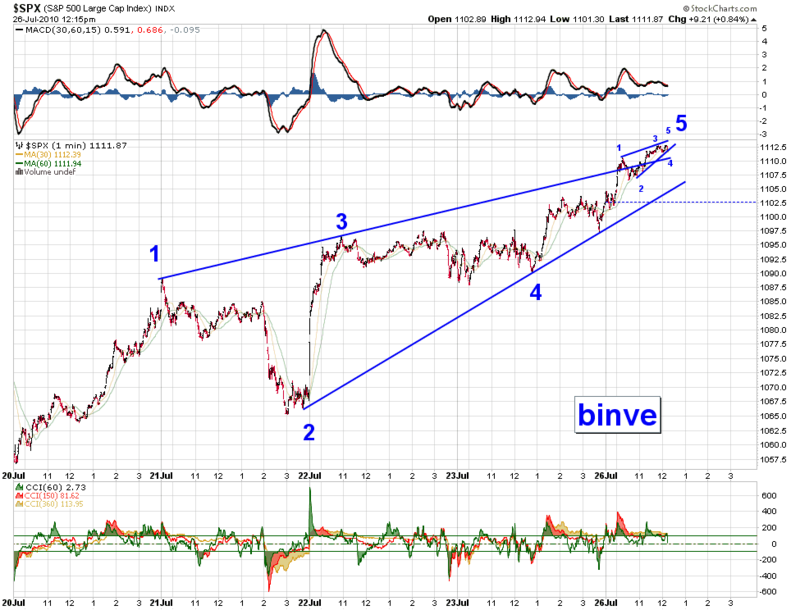 Interesting that these levels are so close and that they coincide with 100% time retracement this weekend ! 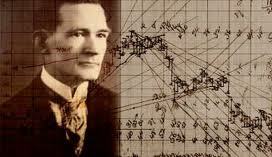 Gann square on FAZ ? 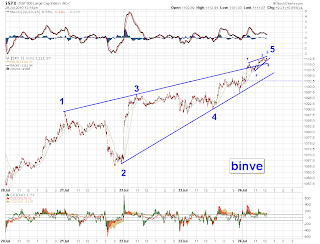 I have been told that a B wave cannot be 5 waves unless its a triangle,so the overall count here is likely wrong if you take a purist view to EW .For practical prposes I am going to run with it while accepting the large B probably needs to be relabelled. The Spanish market appears to have reached resistance. bullish candle on ftse following last weeks bearish inverted hammer,broken out of my pitchfork.....mining stocks (and BP)have helped ,I think they have formed right shoulder patterns,look as if they have exhausted but we shall see. On the "death cross" chart the Ftse can be seen to be backtesting the necline of the expanding wedge and the 200 dma. I have stepped out of my comfort zone and attempted an EW count.I am sure it probably breaks some rules ,and have asked some the talented wave counters on the chatroom I use to point them out ! I am happier with the "multiple large zig zags for several years" scenario (like the japanese experience) rather than superbear (or superbull scenarios) ie trading range 650 -1250 ? Cocoa at last fell sharply under the bear setup we have been monotoring.Ironically this followed the supposedly bullish news that a London trader was trying to squeeze the market. Under the ABC trade setup the 50% and 100% of previous range levels are potential targets and the various levels can be used for stop placement as the trade progresses. Dow cycles favour August low ? Which type of Gann angle to use ? 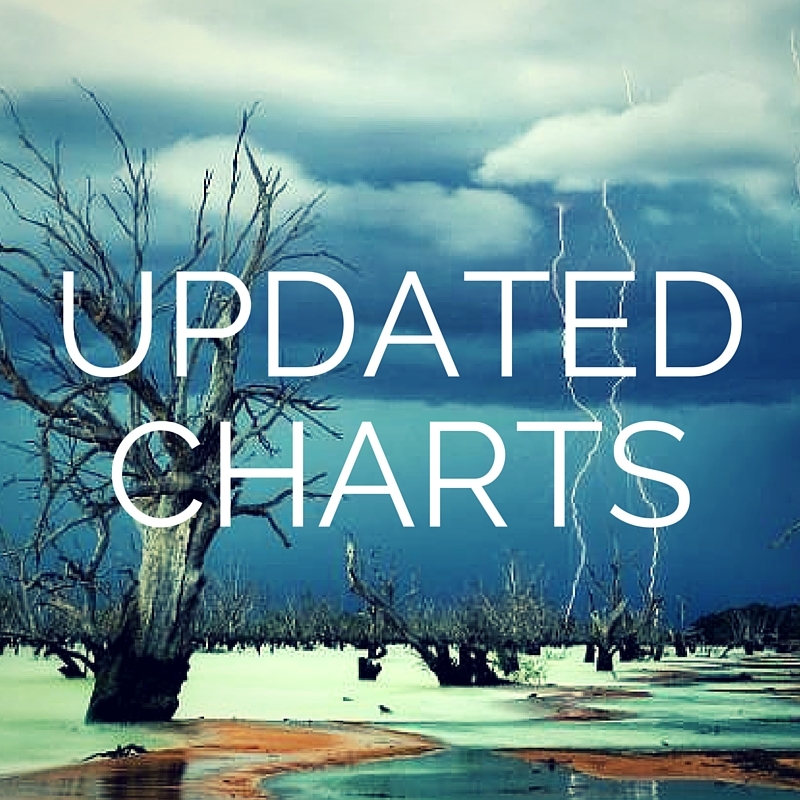 Update of one of Mike Breaux's "ema charts"
Don't forget the big picture !